.. Whether you believe in the paranormal or not, a visit to one of these locations may reinforce your belief or change your mind. 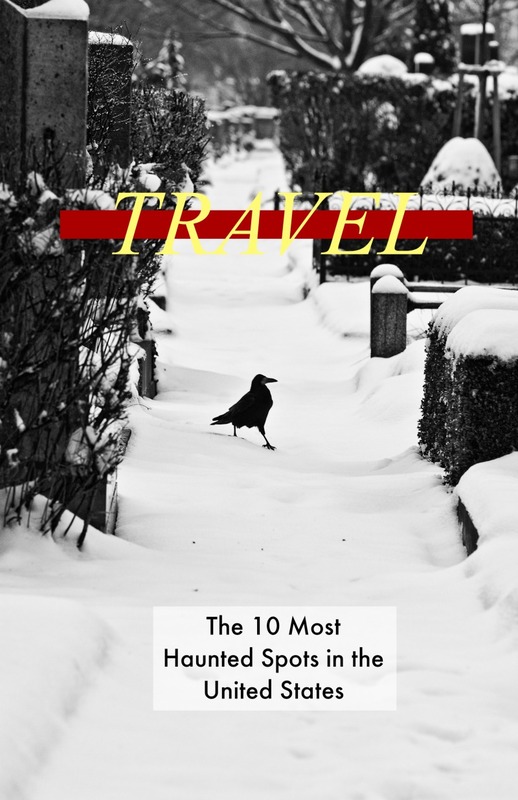 With so many haunted houses, cemeteries, prisons, hospitals it is hard to pick where to start. Below are some of the most haunted spots in the U.S, as reported by visitors and investigators. Be prepared to be scared! Please note: Prior to visiting or conducting a paranormal investigation, check with the owner or governing body. This will ensure the location is open to the public. Failure to do so may result in being charged with trespassing or other serious crimes. Most of us have heard of Gettysburg, Pennsylvania. This is because of the famous “Battle of Gettysburg”, which was the most catastrophic battle of the Civil War. In 1863 over 10,000 men were killed at the Battle of Gettysburg. Gettysburg Battlefield is now a historic site for tourists and visitors. Many have reported seeing Civil War like ghosts roaming around. Screams and sounds of battle have been heard at various locations. Digital equipment seems to mysteriously malfunction when roaming around this historic site. Claimed to be one of the top three haunted spots in the U.S is Bachelor’s Grove Cemetery. This haunt is located on the outskirts of Chicago. The name was given to the cemetery in the 1800’s due to the large number of single men that were buried there. When the cemetery was abandoned in the 1960’s, vandalism to the headstones and the cemetery grounds increased. It is also rumored that satanic rituals have taken place here. Many people have reported seeing ghosts and hearing blood curdling screams and eerie voices. It is even said that Al Capone and his mob used to dump the bodies of their unfortunate victims in the pond located in the cemetery. One of the most well known sightings is a picture taken. This photo clearly shows a translucent woman sitting on a grave dressed in 1920’s apparel. Located in rural Kansas, Stull Cemetery is also one of the most haunted cemeteries in the United States. Stull, Kansas has no more than 40 residents at any given time, however it is said that there are many ghostly residents in Stull Cemetery. Legend has it that the Stull Cemetery is one of two places in the world where you can see the devil two times per year: the eve of the Spring Equinox and again on Halloween. It is rumored that the body of a boy buried in Stull is the son of a witch and the devil. There is even a tombstone with the name “Wittich” engraved on it. This cemetery has so many great eerie stories about it. There is an old abandoned church located on the cemetery grounds that supposedly was the location of a murder back in the 1850’s (when the structure was a barn but later torn down and turned into a church). Probably the best and most told story about Stull Cemetery is the “Gateway to Hell”, a set of hard to find stairs in the cemetery covered by overgrown grass and weeds. It is said that if you descend to the bottom of these stairs (which lead to no where) you will feel a force tugging at you. Even worse, it is rumored that Halloween night the devil ascends up these stairs to visit the grave of his child. Check out one of the many websites on the Internet about Stull Cemetery, it makes you wonder. One word of caution though, the residents of Stull, Kansas are not fond of visitors to their town. Over the years Stull Cemetery has received a lot of negative attention due to its legend of paranormal activities. Specifically on Halloween and Spring Equinox, visitors will most likely be ushered away by local authorities. Said to be the most haunted location in Portland, Oregon, White Eagle Pub and Hotel was originally the White Eagle Saloon. Built in 1899 it began as a nice place to stay in Portland. As the area became more populated the White Eagle Saloon became somewhat of a brothel and water hole. It is said that the basement area contains an underground tunnel in which many men were shanghaied to work on ships in the early 1900’s. The basement was said to be the brothel area for African American and Asian women. In addition, to an upstairs area the brothel area for the Caucasian women. Some reported experiences included coins falling from the basement ceiling, freezer doors opening and shutting by themselves, being groped by invisible entities and much more. It is said that the apparition of a woman can be seen in the window of second story. According to legend she was a prostitute who had hung herself in that room. The inspiration for Stephen King’s novel “The Shining”, the Stanley Hotel is nothing short of an eerie location. Stephen King stumbled upon the idea of writing The Shining while staying in room 217 at the Stanley Hotel. The most infamous ghost of this prestigious hotel is the ghost of Flora Stanley. She was the wife of the original hotel owner. It is said that Flora can be heard playing the piano at night and her apparition appears quite often through out the hotel. The fourth floor is the most haunted of all the hotel floors, specifically room 408. Guests have reported hearing children playing outside of the room only to find that nobody is outside the door. Guests leaving the room for a few minutes return to find the room in disarray. They have even spotted children’s hand prints on mirrors and other surfaces.